With the release of her Halloween EP "Turn Off the Light, VOL 1", Kim Petras adapted her bubblegum-pop style to a more sinister aesthetic of dance music. To embody this transition in style, I created a short loop that transforms her between these two worlds and personas. It took a few iterations to recreate Kim's likeness in Illustrator, after initially sketching out multiple variations and scanning in the best. All of the graphics and assets were prepared in Illustrator, then imported into After Effects to animate the transition. One of the dance breaks from the album was used to emphasize the transition as Kim's signature "Woo-ahh" progresses from bubbly to distorted. 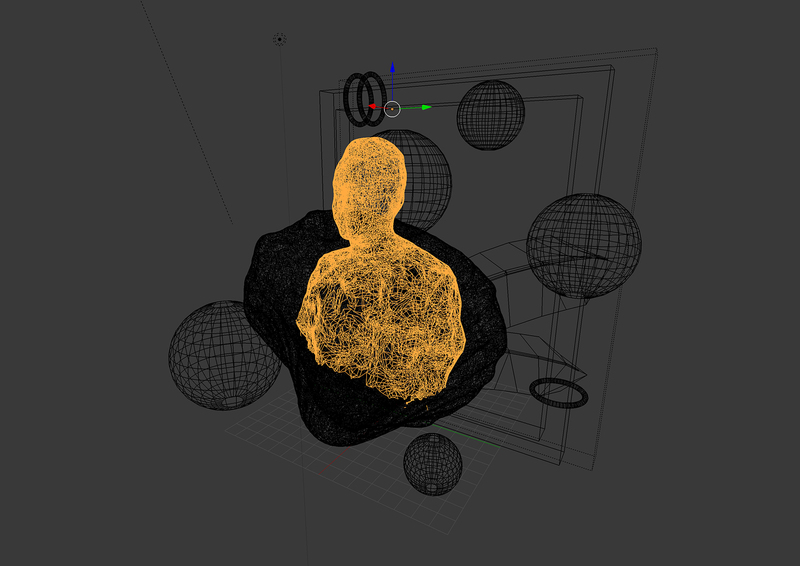 Testing out an application of photogrammetry and exploring the abilities of open source modeling software Blender. Photogrammetry is a process of deriving a three-dimensional structure from a series of flat images. By analyzing the images, software can recreate a spatial map of points and project those images back onto the generated model as a texture map. Surprisingly, this technique can be applied through an iPhone - in this case I used 123DCatch by Autodesk to capture and generate a model of a friend. The texture map below shows the fragments of the captured images that the software then applied to the geometry it created. As you can tell, much of the background was captured as well, which was cleaned up later in 3D modeling software Blender. The rest of the scene was assembled from objects made available online, then arranged, lit and animated in Blender. We built a digital map and wayfinding system for the Product & Engineering space in Groupon’s Chicago office. Populated through a Google Sheet backend, the project was set up a way for the directory and map to adapt easily in an ever changing office space. The Product & Engineering Space in Chicago is a diverse space with a variety of teams supporting our internal and external tools & experiences. To help us loccate other teams and emphasize our diversity - we built a digital team map to support the space. 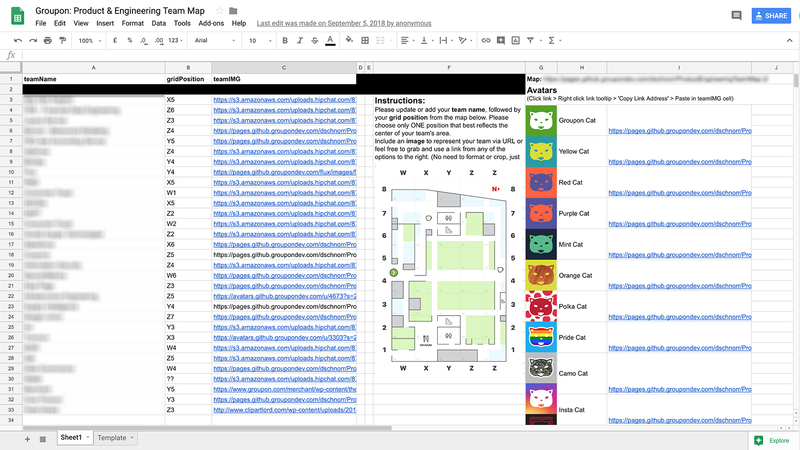 To avoid the responsibility of a single owner, the map was connected to a simple Google Sheet that populated all of the teams along with their locations and images. This made sure the content could be crowd-sourced and customized by the 30 some teams within the space. 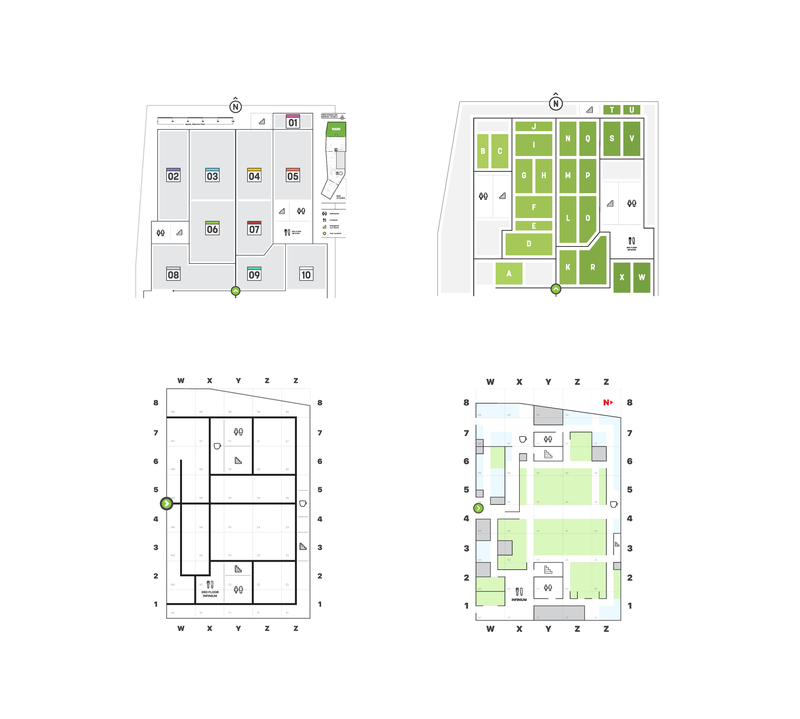 The map itself outlines the areas where teams work, meeting rooms and common spaces like kitchens. We leveraged the grid system of pillars making it even easier to locate any team. A monitor was then placed near the entrance of the space and cycled through news and alerts along with displaying the map.